If you took a chart of the Nusa Tenggara island chain in southern Indonesia and drew a horizontal line through the top of the islands, you would pass through some amazing dive destinations. From West to East there would be Tulamben in Bali, The Gili Islands in Lombok, Komodo National Park, Maumere and finally at the farthest island east, Alor. 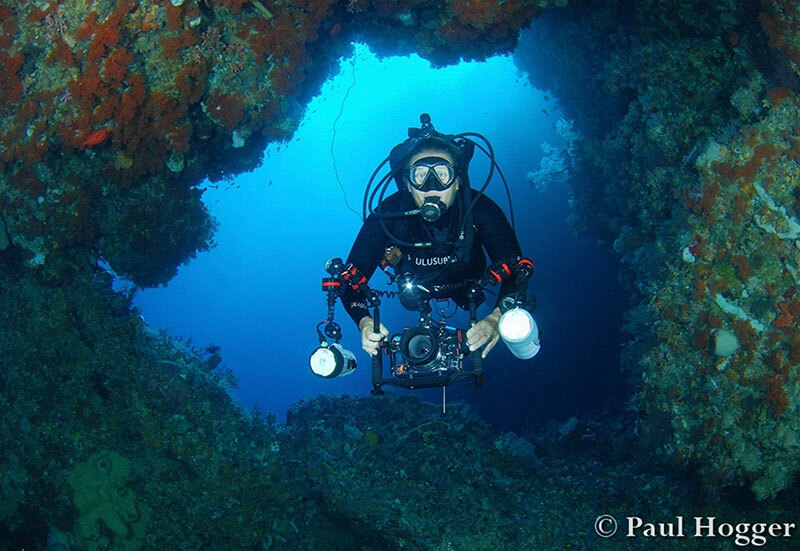 Having dived all of these locations, we consider Alor to be the best of the bunch, but ironically it is the least known and subsequently the least dived location. 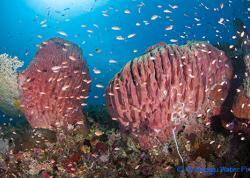 Below are a few photos from our dives in Alor. 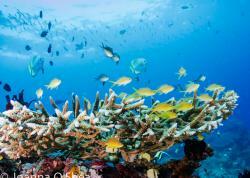 Want to dive Alor, Indonesia? Contact Bluewater Travel to book the perfect trip. Join our small group photo trip in Alor in October 2017, led by UWPG editor Brent Durand. Email Brent for details. What Alor offers is diversity! The nutrient rich waters from the Banda Sea and Indian Ocean flood the passage between Alor and Pantar Island producing outstanding viz and stunning diving. The small islands within the passage offer loads of diving opportunities from pinnacles filled with colourful fish, to drift diving walls and protected bays filled with loads of unusual critters. The long protected inlet that runs up to the main town of Kalabahi misses most of the current, but not the critters. There are many fantastic macro/muck dive sites within the inlet that produce scores of interesting critters at both day and night. On the last “no dive” day in Alor, it is highly recommended to take a trip up into the mountains to visit the highland villages. The local villagers still live a traditional lifestyle with their unique language, religion, customs and their Moko Drums which are seen nowhere else in the world. The southern end of the passage is narrower forcing water through the area to 6 knots depending on the tides. It is best dived on slack water when the tide is on the turn. 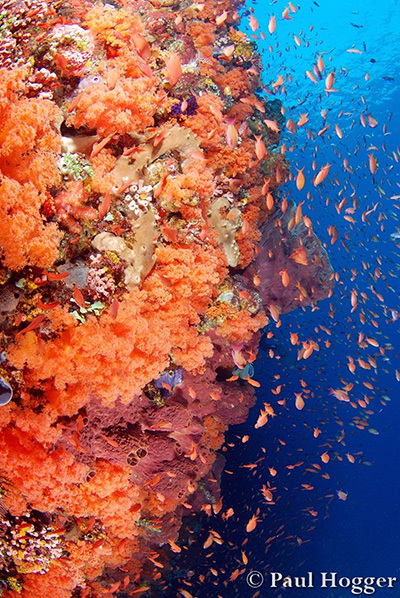 The strong flowing nutrient rich water produces incredible soft corals, sponge life and a diverse fish population. Nikon D80 & Tokina 10-17mm lens. 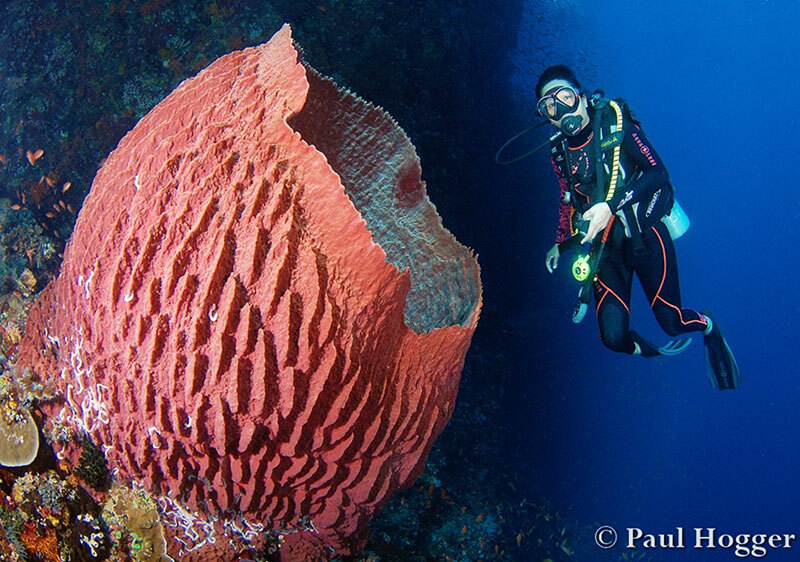 The southern area has the largest and healthiest sponges we have ever seen. It is interesting to note that when the tide floods in from the Banda Sea in the north, the water is warm and it is possible to dive in just a thin lycra suit or even less. Hours later when the tide turns and floods in from the Indian Ocean in the south, the water is significantly colder and full length wetsuit of at least 3mm is required. Nikon D80 & Tokina 10-17mm lens. The area has some large swim throughs that have the added bonus of being filled with fish life. Nikon D80 & 12-24mm Nikon Lens. 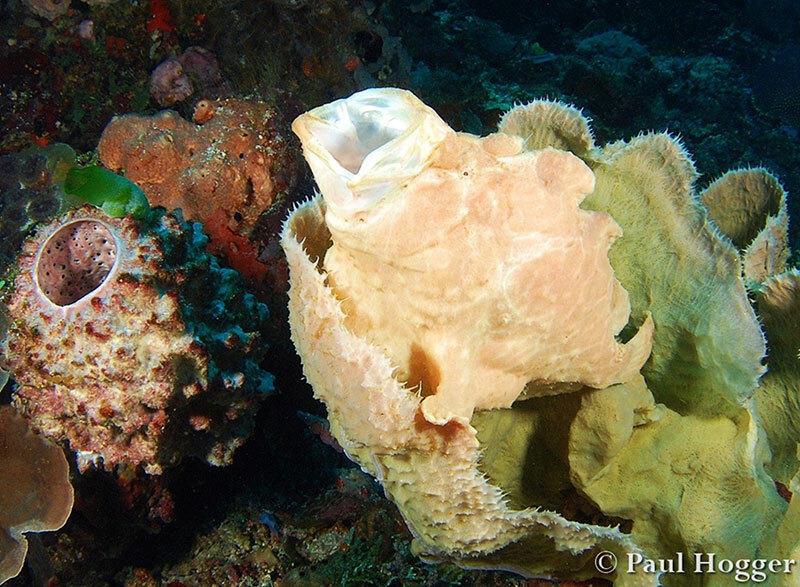 It's a real treat to be able to see 5 or more Giant Frogfish amongst healthy coral on a sloping wall during a drift dive with 100ft/30m viz. Nikon D80 & 12-24mm Nikon Lens. 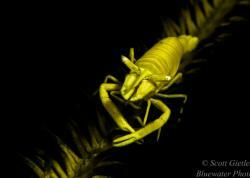 In the long calm and protected inlet towards the main town of Kalabahi, the macro/muck diving is excellent. Most sites have a rocky sloping wall before levelling out onto the black sand at around 20m/65ft. This provides a large diversity of subjects on both substrates. 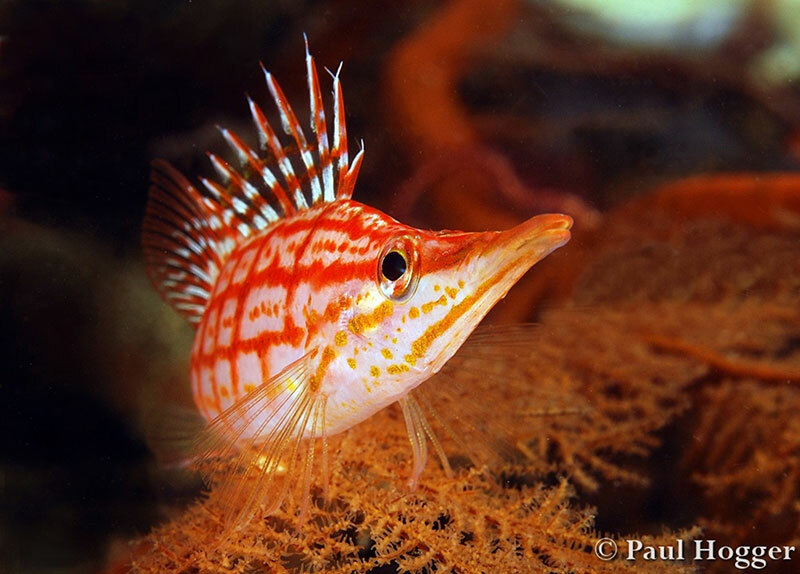 This shot is of a Long Nose Hawkfish in the soft corals on one of the walls. Nikon D80 & Nikon 60mm Macro Lens. 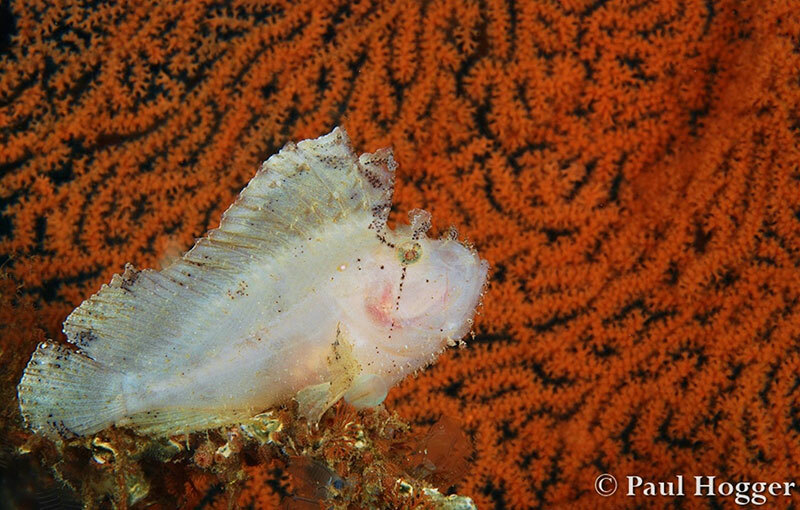 A Gorgonian Fan makes unusual background for a Leaf Fish photo within the inlet. Nikon D80 & Nikon 60mm Macro Lens. 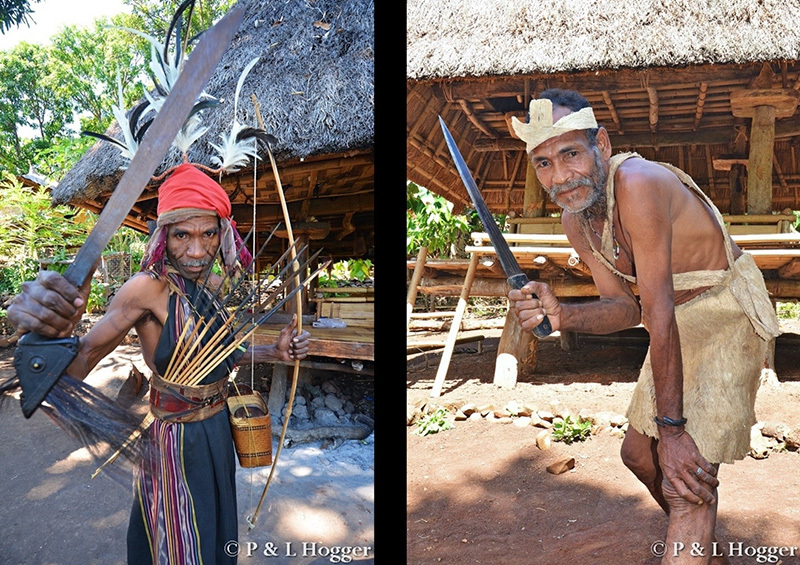 A trip to the mountains of Alor to visit the Traditional Highland Villages is highly recommended.